Join us for this special Memorial Day weekend celebration run! This is a special 4ish mile brew run in honor of Memorial day: come out in your red, white and "brew" and walk, ruck or run to the finish line. Veterans and active duty service members save $5 on this brew run. 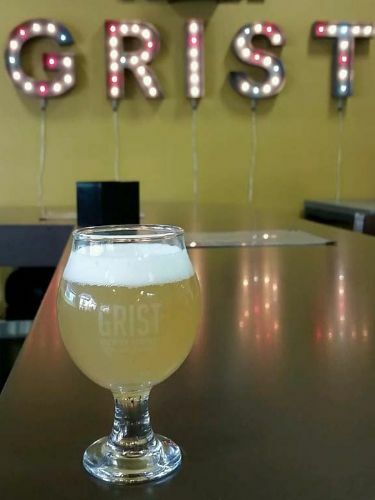 Grist brewing is located just a hop off of C-470 and Sante Fe and serves up classic beer styles with a twist. The run course takes place on trails and paths through Highlands Ranch open space with great views of the snow capped Rocky Mountains. Come early and warm-up for the run in a FREE 30 minute workout with Manic Training! Cost: $35 includes run entry, Grist brew, coaster, a fun custom pint glass and more fun giveaways from our sponsors. Earn cool swag while training for your half or full marathon!! Are you training for an upcoming race like the Rock 'n' Roll half marathon or the Ragnar Relay series? Check out the additional mileage option we are adding to all of our courses this year. We've created a route for you to run on your own before the event starts. The Grist Brew run additional mileage course is 6 miles, add this to the 4 mile Brew run course and you've got your training (or 10 miler) in for the day AND earned your ice cold brew! -----> If you complete our 6 mile course before the event starts and show us the map to prove it, you've earned sweet swag from RNR or Ragnar! View the course here. Join in on the post party fun by registering for one of our Beer Olympics games when picking up your packet. Manic Training is our official fitness partners for the event. Their stellar coaches will be out making sure you squats look low and your jumps far. Learn more about our Beer Olympics games HERE. All good brewers got their start in a garage, kitchen or alley most likely extract brewing, experimenting a lot and consuming all those grand experiments. Only the truly dedicated, or some might say crazy, join the cast of characters that make up the Craft Brewing industry. Grist is one of innovation, dedication to flavor and quality, collaboration, and contribution to our communities by job creation and charitable donation. Grist aims to brew classic styles for those just starting to dabble in craft beer consumption with hints of experimentation with Belgians, spiced stouts, barrel aging and the ever changing scope of hops and malt builds that give all great craft beer their character. The Berliner Weisse has a little more alcohol than a traditional Berliner. However, Grist brewerys thought you'd like it better that way. The tartness of this kettle soured Berliner comes through and is complimented by its effervescence. In the tap room you can have it in its original, unadulterated greatness or feel free to add one of the many fruit syrups available as is traditionally done. There is plenty of parking in the Shea Stadium lot across the street from the brewery and also parking behind the brewery in the industrial area. The run start is located in the dirt lot behind Shea stadium off Commerce Center st. We will walk as a group from the brewery across the street and officially start the run on the East/West trail for a fun lollipop loop route. -----> For this brew run every participant gets: Grist brew of choice, fun coaster, pint glass and giveaways from our sponsors! -----> Dogs ARE allowed on the course and in the brewery! -----> Bring your appetite! A local food truck will be ready to serve hungry runners after the event. We've had some questions about the weather and here is all we can say: WE LIVE IN COLORADO PEOPLE! Predicting the weather here is just about as accurate as predicting the next lotto winner. Yes, it may be 80 degrees one day and snowing the next but that's what you gotta love about this state. The brew run is on sunshine, rain or snow! AutoTrek is an auto broker based out of Littleton, CO. Let us find you your next car without the hassle of shopping around. Manic Training is our official Beer Olympics Partner. HIIT workouts to help you train for your next adventure!